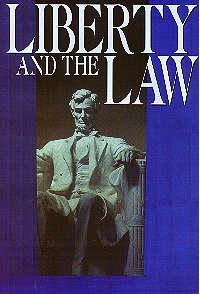 Restore >> Library >> "America Superpower" contents >> Liberty and the Law (section 4) .. THE SUBJECT OF THE SANCTUARY was the key which unlocked mystery of the disappointment of 1844. It opened to view a complete system of truth, connected and harmonious, showing that God's hand had directed the great advent movement and revealing present duty as it brought to light the position and work of His people. They had expected Him to appear in glory to give reward to His servants. As their hopes were disappointed, they had lost sight of Jesus. Now in the holy of holies they again beheld Him, their compassionate High Priest, soon to appear as king and deliverer. Light from the sanctuary illumined the past, the present, and the future. See Hebrews 8, 9, 10. But the people were not yet ready to meet their Lord. There was still a work of preparation to be accomplished for them. Light was to be given, directing their minds to the temple of God in heaven: and as they should by faith follow their High Priest in His ministration there, new duties would be revealed. Another message of warning and instruction was to be given to the church. While the investigative judgment is going forward in heaven, while the sins of penitent believers are being removed from the sanctuary, there is to be a special work of purification, of putting away of sin, among God's people upon earth. This work is more clearly presented in the messages of Revelation 14. When this work shall have been accomplished, the followers of Christ will be ready for His appearing. This work of examination of character, of determining who are prepared for the kingdom of God, is that of the investigative judgment, the closing work in the sanctuary above. When the work of investigation shall be ended, when the cases of those who in all ages have professed to be followers of Christ have been examined and decided, then, and not till then, probation will close, and the door of mercy will be shut. This subject was not understood by Adventists in 1844. But clearer light came with the investigation of the sanctuary question. The passing of the time in l844 was followed by a period of great trial to those who still held the advent faith. Their only relief, so far as ascertaining their true position was concerned, was the light which directed their minds to the sanctuary above. As they waited and watched and prayed to know the will of God they saw that their great High Priest had entered upon another work of ministration, and, following Him by faith, they were led to see also the closing work of the church. They had a clearer understanding of the first and second angels' messages, and were prepared to receive and give to the world the solemn warning of the third angel of Revelation 14. The temple of God was opened in heaven, and there was seen in His temple the ark of His testament" (Revelation 11:19). The ark in the tabernacle on earth contained the two tables of stone, upon which were inscribed the precepts of the law of God. When the temple of God was opened in heaven, the ark of His testament was seen. Within the holy of holies, in the sanctuary in heaven, the divine law is sacredly enshrined—the law that was spoken by God Himself amid the thunders of Sinai and written with His own finger on the tables of stone. Those who arrived at an understanding of this point were thus led to see the sacred, unchanging character of the divine law. The law of God, being a revelation of His will, a transcript of His character, must forever endure "as a faithful witness in heaven." In the very bosom of the Decalogue is the fourth commandment, as it was very first proclaimed: "Remember the Sabbath day, to keep it holy. Six days shalt thou labor, and do all thy work: but the seventh day is the Sabbath of the Lord thy God: . . . wherefore the Lord blessed the Sabbath day, and hallowed it" (Exodus 20:8-11). The Spirit of God impressed the hearts of those students of His word. The conviction was urged upon them that they had ignorantly transgressed this precept by disregarding the Creator's rest day. In Revelation 14, men are called to worship the Creator; and the prophecy brings to view a class that, as the result of the threefold message, are keeping the commandments of God. One of these commandments points directly to God as the Creator. Had the Sabbath been universally kept, man's thoughts and affections would have been led to the Creator as the object of reverence and worship, and there would never have been an idolater, an atheist, or an infidel. The keeping of the Sabbath is a sign of loyalty to the true God, "Him that made heaven, and earth, and the sea, and the fountains of waters." It follows that the message which commands men to worship God and keep His commandments will especially call them to keep the fourth commandment. In contrast to those who keep the commandments of God and have the faith of Jesus, the third angel points to another class against whose errors a solemn and fearful warning is uttered: "If any man worship the beast and his image, and receive his mark in his forehead, or in his hand, the same shall drink of the wine of the wrath of God" (Revelation 14:9, 10). A correct interpretation of the symbols employed is necessary to an understanding of this message. What is represented by the beast, the image, the mark? The line of prophecy in which these symbols are found begins with Revelation 12, with the dragon that sought to destroy Christ at His birth. The dragon is said to be Satan—Revelation 12:9. But the chief agent of Satan in making war upon Christ and His people during the first centuries of the Christian Era was the Roman Empire, in which paganism was the prevailing religion. Thus while the dragon, primarily, represents Satan, it is, in a secondary sense, a symbol of pagan Rome. In chapter 13 (verses 1-10) is described another beast, "like unto a leopard," to which the dragon gave "his power, and his seat, and great authority." This symbol, as most Protestants have believed, represents the papacy, which succeeded to the power and seat and authority once held by the ancient Roman empire. Of the leopardlike beast it is declared: "There was given unto him a mouth speaking great things and blasphemies. . . .opened his mouth in blasphemy against God, to blaspheme His name, and His tabernacle, and them that dwell in heaven. And it was given unto him to make war with the saints, and to overcome them: and power was given him over all kindreds, and tongues, and nations." This prophecy, which is nearly identical with the description of the little horn of Daniel 7, unquestionably points to the papacy. "Power was given unto him to continue forty and two months." The forty and two months are the same as the "time and times and the dividing of time," three years and a half, or 1260 days, of Daniel 7—the time during which the papal power was to oppress God's people. This period, as stated in preceding chapters, began with the supremacy of the papacy, A.D. 538, and terminated in 1798. At that time the pope was made captive by the French army, the papal power received its deadly wound, and the prediction was fulfilled, "He that leadeth into captivity shall go into captivity. At this point another symbol is introduced. Says the prophet: "I beheld another beast coming up out of the earth; and he had two horns like a lamb." Verse 11. Both the appearance of this beast and the manner of its rise indicate that the nation which it represents is unlike those presented under the preceding symbols. The beast with lamblike horns was seen "'coming up out of the earth."' Instead of overthrowing other powers to establish itself, the nation thus represented must arise in territory previously unoccupied and grow up gradually and peacefully. It could not, then, arise among the crowded and struggling nationalities of the Old World. What nation of the New World was in 1798 rising into power, giving promise of strength and greatness, and attracting the attention of the world? The application of the symbol admits of no question. One nation, and only one, meets the specifications of this prophecy; it points unmistakenly to the United States of America. "And he had two horns like a lamb." The lamblike horns indicate youth, innocence, and gentleness, fitly representing the character of the United States when presented to the prophet as "coming up" in 1798. Among the Christian exiles who first fled to America and sought an asylum from royal oppression and priestly intolerance were many who determined to establish a government upon the broad foundation of civil and religious liberty. These principles are the secret of its power and prosperity. Millions have sought its shores, and the United States has risen to a place among the most powerful nations of the earth. But the beast with lamblike horns "spake as a dragon. And he exerciseth all the power of the first beast before him, and causeth the earth and them which dwell therein to worship the first beast, whose deadly wound was healed; . . . saying to them that dwell on the earth, that they should make an image to the beast, which had the wound by a sword, and did live" (Revelation 13:11-14). The lamblike horns and dragon voice point to a striking contradiction between the professions and the practice of the nation thus represented. The prediction that it will speak "as a dragon" and exercise "all the power of the first beast" plainly foretells a development of the spirit of intolerance and persecution that was manifested by the nations represented by the dragon and the leopardlike beast. And the statement that the beast with two horns "causeth the earth and them which dwell therein to worship the first beast" indicates that the authority of this nation is to be exercised in enforcing some observance which shall be an act of homage to the papacy. Such action would be directly contrary to the principles of this government, to the genius of its free institutions, to the direct and solemn avowals of the Declaration of Independence, and to the Constitution. The inconsistency of such action is no greater than is represented in the symbol. It is the beast with lamblike horns—in profession pure, gentle, and harmless—that speaks as a dragon. "Saying to them that dwell in the earth, that they should make an image to the beast." But what is the "image to the beast" and how is it to be formed? To learn what the image is like and how it is to be formed we must study the characteristics of the beast itself—the papacy. The beast with two horns "causeth [commands] all, both small and great, rich and poor, free and bond, to receive a mark in their right hand, or in their foreheads: and that no man might buy or sell, save he that had the mark, or the name of the beast, or the number of his name" (Revelation 13:16, 17). The third angel's warning is: "If any man worship the beast and his image, and receive his mark in his forehead, or in his hand, the same shall drink of the wine of the wrath of God." "The beast" mentioned in this message, whose worship is enforced by the two-horned beast, is the first, or leopardlike beast of Revelation 13—the papacy. The "image to the beast" represents that form of apostate Protestantism which will be developed when the Protestant churches shall seek the aid of civil power for the enforcement of their dogmas. The "mark of the beast" still remains to be defined. The special characteristic of the beast, and therefore of his image, is the breaking of God's commandments. Says Daniel, of the little horn, the papacy: "He shall think to change times and the law" (Daniel 7:25, R.V.). Only by changing God's law could the papacy exalt itself above God. Roman Catholics acknowledge that the change of the Sabbath was made by their church, and declare that Protestants by observing the Sunday are recognizing her power. The enforcement of Sundaykeeping on the part of Protestant churches is an enforcement of the worship of the papacy—of the beast. Those who, understanding the claims of the fourth commandment, choose to observe the false instead of the true Sabbath are thereby paying homage to that power by which alone it is commanded. But in the very act of enforcing a religious duty by secular power, the churches would themselves form an image to the beast; hence the enforcement of Sundaykeeping in the United States would be an enforcement of the worship of the beast and his image. In the issue of the contest all Christendom will be divided into two great classes—those who keep the commandments of God and the faith of Jesus, and those who worship the beast and his image and receive his mark. Wherever the Word of God has been faithfully preached, results have followed that attested its divine origin. Revivals brought deep heart searching humility. They were characterized by solemn earnest appeals to the sinner. The fruits of such revivals were seen in souls who shrank not at self-denial and sacrifice, but rejoiced that they were counted worthy to suffer reproach and trial for the sake of Christ. Men beheld a transformation in the lives of those who had professed the name of Jesus. Such were the effects that in former years followed seasons of religious awakening. Notwithstanding the widespread declension of faith and piety, there are true followers of Christ in these churches. Before the final visitation of God's judgments upon the earth there will be among the people of the Lord such a revival of primitive godliness as has not been witnessed since apostolic times. At that time many will separate themselves from those churches in which the love of this world has supplanted love for God and His Word. Many, both of ministers and people, will gladly accept those great truths which God has caused to be proclaimed at this time to prepare a people for the Lord's second coming. The enemy of souls desires to hinder this work; and before the time for such a movement shall come, he will endeavor to prevent it by introducing a counterfeit. In those churches which he can bring under his deceptive power he will make it appear that God's special blessing is poured out; there will be manifest what is thought to be great religious interest. Multitudes will exult that God is working marvelously for them when the work is that of another spirit. Under a religious guise, Satan will seek to extend his influence over the Christian world. There is an emotional excitement, a mingling of the true with the false, that is well adapted to mislead. Yet none need be deceived. In the light of God's Word it is not difficult to determine the nature of these movements. Wherever men neglect the testimony of the Bible, turning away from those plain, soul-testing truths which require self-denial and renunciation of the world, there we may be sure that God's blessing is not bestowed. And by the rule which Christ Himself has given, "Ye shall know them by their fruits" (Matthew 7:16), it is evident that these movements are not the work of the Spirit of God. In the truths of His word, God has given to men a revelation of Himself; and to all who accept them they are a shield against the deceptions of Satan. It is neglect of these truths that has opened the door to the evils which are now becoming so widespread in the religious world. The nature and importance of the law of God have been, to a great extent, lost sight of. Here is to be found the secret of the lack of the Spirit and power of God in the revivals of our time. The claim that Christ by His death abolished His Father's law is without foundation. Had it been possible for the law to be changed or set aside, then Christ need not have died to save man from the penalty of sin. The Son of God came to "magnify the law, and make it honorable" (Isaiah 42:21). He said: "Think not that I am come to destroy the law;" "till heaven and earth pass, one jot or one tittle shall in no wise pass from the law" (Matthew 5:17, 18). And concerning Himself He declares: "I delight to do Thy will, 0 my God: yea, Thy law is within My heart" (Psalm 40:8). The law of God, from its very nature, is unchangeable. It is a revelation of the will and character of its Author. God is love, and His law is love. The character of God is righteousness and truth; such is the nature of His law. The first step in reconciliation to God is the conviction of sin. "Sin is the transgression of the law." "By the law is the knowledge of sin" (1 John 3:4; Romans 3:20). In order to see his guilt, the sinner must test his character by God's great standard of righteousness. It is a mirror which shows the perfection of a righteous character and enables him to discern the defects in his own. The law reveals to man his sins, but it provides no remedy. While it promises life to the obedient, it declares that death is the portion of the transgressor. The gospel of Christ alone can free him from the condemnation or the defilement of sin. He must exercise repentance toward God, whose law has been transgressed, and faith in Christ, his atoning sacrifice. Thus he obtains "remission of sins that are past" and becomes a partaker of the divine nature. Is he now free to transgress God's law? Says Paul: "Do we then make void the law through faith? God forbid: yea, we establish the law." "How shall we, that are dead to sin, live any longer therein?" And John declares: "This is the love of God, that we keep His commandments: and His commandments are not grievous" (Romans 3:31; 6:2; 1 John 5:3). In the new birth the heart is brought into harmony with God, as it is brought into accord with His law. When this mighty change has taken place in the sinner, he has passed from death unto life, from sin unto holiness, from transgression and rebellion to obedience and loyalty. The old life of alienation from God has ended; the new life of reconciliation, of faith and love, has begun. Without the law, men have no just conception of the purity and holiness of God or of their own guilt and uncleanness. They have no true conviction of sin and feel no need of repentance. Not seeing their lost condition as violators of God's law, they do not realize their need of the atoning blood of Christ. The hope of salvation is accepted without a radical change of heart or reformation of life. Thus superficial conversions abound, and multitudes join to the church who have never been united to Christ. It is the privilege of everyone so to live that God will approve and bless him. It is not the will of our heavenly Father that we should be ever under condemnation and darkness We may go to Jesus and be cleansed, and stand before the law without shame and remorse. Through Jesus the fallen sons of Adam become "sons of God." The Christian's life should be one of faith, of victory, and joy in God. Such are the fruits of Bible conversion and sanctification; and it is because the great principles of righteousness set forth in the law of God are so indifferently regarded by the Christian world that these fruits are so rarely witnessed. "I beheld," says the prophet Daniel. "till thrones were placed, and One that was Ancient of Days did sit: . . . the judgment was set, and the books were opened" (Daniel 7:9, 10, R.V.). The coming of Christ here described is not His second coming to the earth. He comes to the Ancient of Days in heaven to receive dominion and glory and a kingdom, which will be given Him at the close of His work as a mediator. Attended by heavenly angels, our great High Priest enters the holy of holies and there appears in the presence of God to engage in His last acts of ministration in behalf of man—to perform the work of investigative judgment and to make an atonement for all who are shown to be entitled to its benefits. "A book of remembrance" is written before God, in which are recorded the good deeds of "them that feared the Lord, and that thought upon his name" (Malachi 3:16). There every temptation resisted, every evil overcome, every word of pity expressed, is faithfully chronicled. And every act of sacrifice, every suffering and sorrow endured for Christ's sake, is recorded. The law of God is the standard by which the characters and the lives of men will be tested in the judgment. Says the wise man: "Fear God, and keep His commandments: for this is the whole duty of man. For God shall bring every work into judgment" (Ecclesiastes 12:13, 14). Jesus will appear as their advocate, to plead in their behalf before God. "if any man sin, we have an advocate with the Father, Jesus Christ the righteous" (1 John 2:1). All who have truly repented of sin, and by faith claimed the blood of Christ as their atoning sacrifice, have had pardon entered against their names in the books of heaven; as they have become partakers of the righteousness of Christ, and their characters are found to be in harmony with the law of God, their sins will be blotted out, and they themselves will be accounted worthy of eternal life. While Jesus is pleading for the subjects of His grace, Satan accuses them before God as transgressors. Now he points to the record of their lives, to the defects of character, the unlikeness to Christ, which has dishonored their Redeemer, to all the sins that he has tempted them to commit, and because of these he claims them as his subjects. Jesus does not excuse their sins, but shows their penitence and faith, and, claiming for them forgiveness, He lifts His wounded hands before the Father and the holy angels, saying: I know them by name. I have graven them on the palms of My hands. "The sacrifices of God are a broken spirit: a broken and a contrite heart, 0 God, Thou wilt not despise" (Psalm 51:17). At the time appointed for the judgment—the close of the 2300 days, in 1844—began the work of investigation and blotting out of sins. Sins that have not been repented of and forsaken will not be pardoned or blotted out of the books of record, but will stand to witness against the sinner in the day of God. Angels of God witnessed each sin and registered it. God has an exact record of every unjust account and every unfair dealing. He is not deceived by appearances of piety. He makes no mistakes in His estimation of character. Men may be deceived by those who are corrupt in heart, but God pierces all disguises and reads the inner life. Only the love which is shown by works is counted genuine. Yet it is love alone which in the sight of Heaven makes any act of value. Whatever is done from love, however small it may appear in the estimation of men, is accepted and rewarded of God. The intercession of Christ in man's behalf in the sanctuary above is as essential to the plan of salvation as was His death upon the cross. By His death He began that work which after His resurrection He ascended to complete in heaven. We must by faith enter within the veil, "whither the forerunner is for us entered" (Hebrews 6:20). There the light from the cross of Calvary is reflected. There we may gain a clearer insight into the mysteries of redemption. "He that covereth his sins shall not prosper: but whoso confesseth and forsaketh them shall have mercy" (Proverbs 28:13). If those who hide and excuse their faults could see how Satan exalts over them, how he taunts Christ and holy angels with their course, they would make haste to confess their sins and put them away. Through defects in the character, Satan works to gain control of the whole mind, and he knows that if these defects are cherished, he will succeed. There must be deep, faithful searching of heart The work of preparation is an individual work. We are not saved in groups. The purity and devotion of one will not offset the want of these qualities in another. Everyone must be tested and found without spot or wrinkle or any such thing. Solemn are the scenes connected with the closing work of the atonement. Momentous are the interests involved therein. The judgment is now passing in the sanctuary above. For many years this work has been in progress. Soon—none know how soon—it will pass to the cases of the living. In the awful presence of God our lives are to come up in review. At this time above all others it behooves every soul to heed the Savior's admonition: "Watch and pray: for ye know not when the time is" (Mark 13:33). When the work of the investigative judgment closes, the destiny of all will have been decided for life or death. Copyright 1996 Family Heritage Books. Used by permission. The text of this magazine, written by Ellen G. White, was taken from The Great Controversy [subheads and emphasis added].